This release has some really great sequences that flow directly and smoothly into each pose. I feel like this release is about movement and the repetition allows our minds to settle and our body slowly unravels each time. Ann-See Yeoh, Les Mills Presenter, says “can you tease more length?” in one of the tracks in the instructor video. This resonated with me and I feel like this question or statement is true to the whole release. This track starts of slow, allowing participants to ease in and acclimate to a rhythmic, calm and spacious breath. Feet are together for this one, but I always give the option of feet hip width. Personally, I love when my feet are feet width — I feel more stable. Crescendo hits. Then the tai chi sequence begins and has so much energy. It’s powerful. It’s simple but can be complicated if you overthink it. When you allow yourself to feel the movement, the breath starts to breath you. The repetition is magic, you start to really let the muscle/fascia memory move you. 1st Sequence: Traditional Sun Salutation C with lunges, unconventional that we do a total of five instead of four. The four beat count plank to crocodile is genius. Again, simple and each time I feel more warmth in my body. Prana is dancing. 2nd Sequence: This sequence Jackie Mils calls the “Dragon Sequence.” I feel like this may have been inspired by Paul Grilley’s Yang Dragon Dance Sequence. I am biased here, I already love Paul Grilley’s Dragon Dance and this one evokes the feeling of openness, balance and strength. When I cue this, I think of the story of Bhagava Gita and the inner conflict that Arjuna faced. A short track, but it does it job to get into the legs. The addition of the heel lift definitely is great for working my arches, ankles and calves. I wasn’t sure about the pointing because I was told as a child never to point because it’s rude (insert sarcastic laugh here) but it works. Very challenged by the dynamic movement from standing knee lift to flower pose. I really like that side plank is added here. It would be nice if we had tree pose in the beginning, it would go with the tree side plank. Otherwise, it does sequence together nicely! Honestly have mixed feelings about this track. I love it but man oh man, my core is challenged!!! Phew! Simple, logical sequence for the first song with the crunch and single leg extension and cross-crawl. The second song features spider planks. I love how the song goes with the hand taps. I love the way my core is challenged. This one is a very hard track. It taps into the strength and flexibility. I see lots of stuff happening here and you have to be very good at cueing participants in their body to use the posterior muscles. I love this when I feel properly aligned and use proper muscles Always making sure to tell folks that they can rest in child’s pose. No lunges but seated twists. Love the transition from seated hip width twist to the lift of the hips. Striking cobra with neck stretch is amazing here. The detail is simple yet effective. 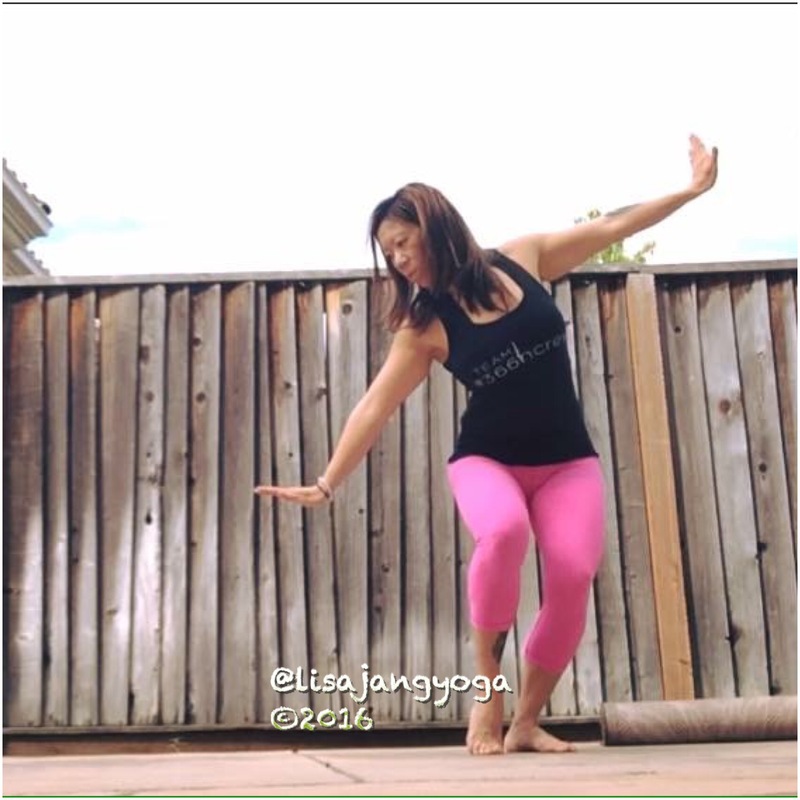 I’ve taught standing Forward Fold with Eale Arms in my Yin Yoga classes before. However, the entry into this one with the music is just so beautiful. I can feel the vunerability in this track. It’s hard not to get lost into it as I teach it. The second sequence has all my favorite cool down poses. Squat Pose with twists, supine hamstring stretch and supine twist. Need I say more? It’s delicate, it’s a perfect song to a beautiful release. My students love this release. The WHOLE THING. The songs. The movement. Another thoughtful, potent release. Thank you Jackie & Diana.